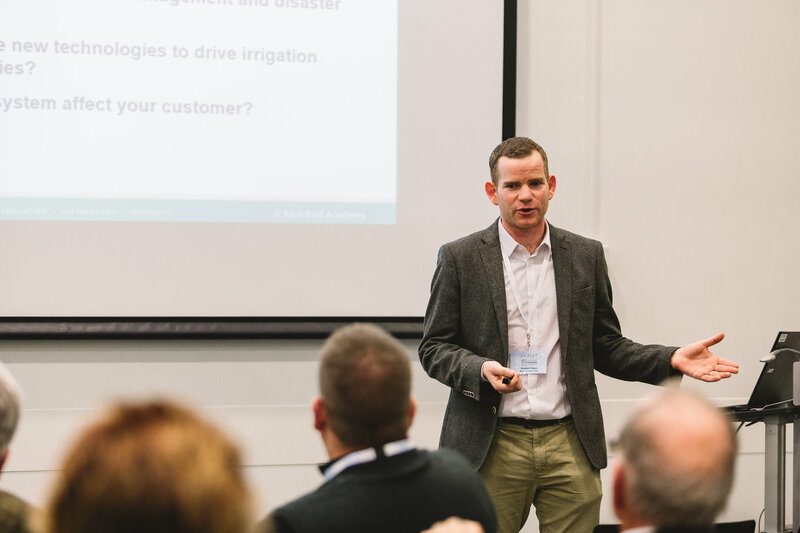 After last year’s hottest summer for four decades, Alastair Higgs, Golf District Manager UK at Rain Bird Europe, explains why an effective irrigation system is now more important than ever. Alastair Higgs has stood at presentation after presentation encouraging golf clubs of the need for a sound irrigation system and to have a disaster plan in place should the incredible happen. And then last year, it did. We experienced the hottest summer for four decades and the intense heat wreaked havoc at courses up and down the country. The weather exposed flaws in irrigation systems and left some teams fighting day and night to keep their grass and greens alive. For some time, you’ve been pointing out what can happen if clubs don’t have effective irrigation in place. Given last year’s hot summer, were you proved right? Last year’s drought really opened people’s eyes. 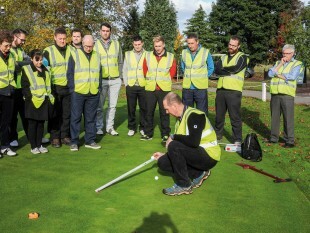 And yet, very recently on an education day for greenkeepers, we asked the same questions about being prepared for drought conditions and disaster planning and 90 per cent of people in the room still didn’t have a plan in place. Imagine if your water source was contaminated tomorrow, what would the outcome be and how would you keep the business going? Irrigation failure is a potential risk that could break the business. It can be catastrophic for a club if greens don’t survive, so knowing what you’re going to do in a disaster situation has got to be given a much higher priority. Disaster planning is something that should be on everyone’s agenda for 2019. From an expert point of view, how bad was 2018 in terms of the severity of the drought and the effect it had on golf courses? Most survived because greenkeepers and their staff had the passion and dedication to go above and beyond the call of duty, not because courses had invested in infrastructure to manage or survive drought, or quickly reacted with on-the-spot investment. Many people worked way over their allotted hours and through the night. To be brutally frank, it was more by luck than judgement that some businesses didn’t go under. The hot weather badly affected playing conditions and had an impact on the customer’s experience. On the flip side, when the sun comes out, people want to play golf so, in that sense, the industry probably benefited. The severity of last summer’s drought exposed just how badly turf quality is affected when there are inadequate water resources and inefficient irrigation systems. I’m sure many people will change their turf management practices this year because they were caught out. Turf stress through lack of moisture control was a key factor – more so than ever before – and I think 2018 highlighted the inescapable fact that moisture management and irrigation management play a crucial role in the agronomic wheel. It became a prominent topic, even to those without an agronomic focus. You have to have the ability to change what you do, day-in and day-out, depending on what’s thrown at you. You simply can’t keep doing the same thing when conditions change and expect to get the same results. How were clubs using your systems and products able to ride through that period? Many clubs found out how to use their Rain Bird system to its best effect – more than they ever had – simply because they were forced to. In ‘standard’ years, when drought periods were short, having the ability to flick a switch and have irrigation coming on effectively to overwater in a short window to get by was fine. But, when we had sustained drought last year, there wasn’t always the water available to do that. So, using their Rain Bird control systems, clubs were micro-managing water use and able to scale it back even further. More importantly, many put in the time and effort to make sure that the products they had in the fi eld were set up correctly. They had to make the most of their current system, before they even considered major investment and new systems for future years. That was probably the biggest learning curve. There are still many who haven’t completed overseeding programmes and these will continue well into spring as clubs try to recover from the effect of last year’s drought. To maintain turf quality for this year, overseeding has to be done and can be very expensive. If it wasn’t budgeted for, clubs have to find that extra money. Overseeding requires moist soil conditions so having efficient irrigation is critical. It’s always more costly having to pay out after the event, rather than investing up-front to prevent problems happening again. There’s a tendency to dismiss these events as one-offs – a ‘freak’ winter or a ‘freak’ summer. Do you think these are going to become more frequent? Should clubs put irrigation at the forefront of what they’re doing? The trend over recent years has definitely been to see the four seasons diminishing. We’re moving from winter to summer, losing spring and autumn weather. In spring it’s colder and dryer for longer and warmer temperatures seem to last longer towards the end of the year. Last summer, we had about ten days of spring and then we were straight into drought. That really does stress turf. conditions. Clubs cannot risk relying on the weather to provide all the water a golf course needs. So clubs have had their warning now, and if you could address managers directly, what would you say to them about addressing their irrigation effectively? The number one priority is knowing how much your current irrigation system costs you. What are you actually spending on it? Are you monitoring spend and allocating it effectively? How does your current irrigation management affect customers? 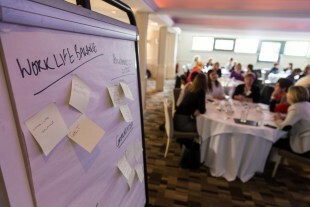 Ultimately, that’s what you’re trying to achieve every day – a good customer experience. If managers answer five key questions, it naturally leads them to make the correct decision, which is to first invest more time and effort maintaining the system they already have. How can Rain Bird assist clubs in this process and what can you do when clubs come to you for help with their irrigation needs? First of all, we help clubs understand the importance of making the most of what they have and knowing what their system costs to run. If you don’t know what you’ve got, what it’s doing, making the correct investment decisions is difficult. Renovating and upgrading the system and products you have is always the first option. Small changes, such as replacing rotors, can make a big difference. Many older irrigation systems have already gone over their expected lifespan and do need replacing. But you can only start looking at investment appraisals when you know what your system is capable of, compared to what else is available. I often say that clubs know how many pints of beer were wasted in the clubhouse last week, but they can’t tell you how many litres of water were wasted from their irrigation system. Irrigation is the scary thing that’s underground and outside. Last summer’s drought highlighted that clubs need to start looking at what’s often out of sight! It’s not as easy as reaching into your wallet to buy a new solution that is going to work for the next six months or six years. Today’s irrigation systems have a longer, 30-40-year lifespan so it’s going to be a 40-year partnership. Rain Bird works with golf courses throughout the lifetime of their system. We’re a company that is solely focused on irrigation, nothing else. Compared to our competition, we’re different in that respect. Once you join the Rain Bird family, all our innovations are available to you. When we create something that makes watering more efficient or more intelligent, you can easily add it to the system you already have. Ask yourself the five questions below and when you’re ready, get in touch. 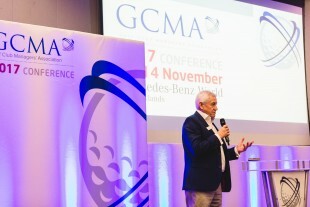 My aim is to support GCMA members to getting this important process started. 1. What does it cost to run our irrigation system on a daily basis? 2. How much does irrigation cost our club each year? 3. What’s spent on preventative maintenance and upgrades? 4. How do we measure water usage and electricity for course irrigation? 5. What’s our approach to irrigation risk management and disaster planning?